Liverpool midfielder Alex Oxlade-Chamberlain is rated at having an ‘outside chance’ of a stunning early return from injury this season. 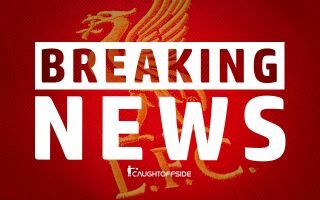 That’s the latest from James Pearce of the Liverpool Echo, who will have got some fans’ hopes up with his revelation in an interview with supporters through the paper. Oxlade-Chamberlain has had a nightmare with the Reds after picking up a very serious knee problem, so Pearce insists the club are not looking to rush the player back or put any kind of pressure on him in terms of giving him a timeline. The England international made a great start at Anfield last season, showing some of the finest form of his career after leaving Arsenal for Liverpool. However, the Ox was dealt a huge blow as he missed the end of the campaign, ending his hopes of playing in the Champions League final with LFC and of going to the World Cup in Russia with the England national team. On the possibility of a return for Oxlade-Chamberlain this season, Pearce was cautious, but said: ‘There is an outside chance that Oxlade-Chamberlain could make a comeback before the end of the season but he certainly won’t be rushed back.